Things aren’t going that great for Apple in the iPhone department. There have been several reports claiming how the company did not sell a lot of iPhones during the holiday quarter 2018. Other reports also suggested that Apple asked suppliers to cut down the production of the latest iPhones. Well, the company has now shared the earnings report for fiscal Q1 2019 and there’s a 13.2 percent decline in iPhone sales year-over-year. Apple announced the revenue from iPhone sales has fallen to $51.9 billion in fiscal Q1 2019 (October to December 2018). The company generated $59.8 billion in the same fiscal in 2018. However, company shares did go up by 5.4 percent after the announcement of the earnings report. According to the company, there are now 1.4 billion active Apple devices. Despite not-as-expected iPhone sales, Apple is doing well in other areas. For example, revenue from services such as the App Store, Apple Music, Apple Pay, AppleCare, etc, is up 19 percent compared to same quarter last year. Apple recorded an all time high quarterly revenue of $10.9 billion from its services division. Growth was seen in the tablet segment as well with a 17 percent increase. In the Wearables, Home and Accessories department, the company saw 33 percent growth, while Mac sales also grew by 9 percent. Overall quarterly revenue was $84.3 billion, which is slightly above the Apple estimate of $84 billion. The company had lowered its revenue estimates last month due to the poor iPhone sales. Apple’s sales in China fell 27 percent compared to last year. It recorded a $13.17 billion in sales in China in Q1 2019, compared to the $17.96 billion in Q1 2018. Although Apple isn’t sharing the number of iPhone units sold, a report from Strategy Analytics tries to estimate this number. 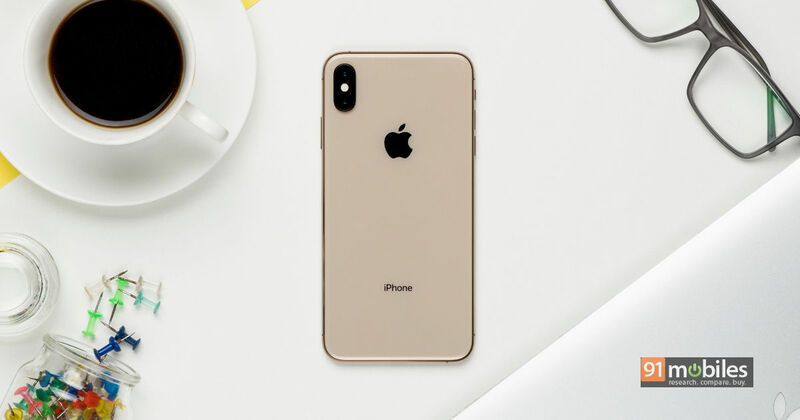 According to the research firm’s estimate, Apple sold 65.9 million iPhones in the first fiscal 2019. That’s a 15 percent decline compared to first fiscal quarter 2018, where the company sold 77.3 million units. During the earnings call, Apple CEO Tim Cook did acknowledge that higher pricing was one of the factors for poor iPhone sales. He also mentioned that the company will be reducing iPhone prices in certain countries.